Intoxicated people aren’t alone in engaging in risky behavior. Intoxicated tiny crustaceans in the ocean — or copepods — do too. And it can get them killed. Rachel Lasley-Rasher studies small shrimp-like animals that become intoxicated from grazing on blooms of toxic phytoplankton. The University of Maine marine researcher said the common calanoid copepods Temora longicornis show no immediate adverse health effects after eating the harmful algal bloom species Alexandrium fundyense. But their behavior changes rather dramatically. After ingesting the toxic phytoplankton, the copepods swim significantly faster and straighter than usual, says Lasley-Rasher, who is based at the Darling Marine Center in Walpole. This ramped-up behavior, she says, increases their encounters with predators by as much as 56 percent — which means they’re more likely to be eaten. “They are encountering predators at a much higher rate for two reasons. First, by swimming faster and straighter, they are displacing themselves farther in their environment, increasing the probability of a predatory encounter,” she says. 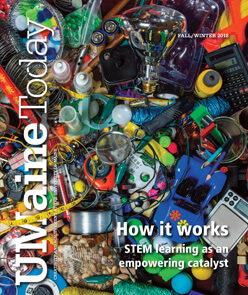 In oceanographer Jeannette Yen’s lab at the Georgia Institute of Technology, Lasley-Rasher introduced toxic phytoplankton to Damariscotta River estuary copepods then used specialized optical equipment to observe the copepods’ swimming behavior. Lasley-Rasher refers to the copepods as nutritious baby food for young fish — including fish that people eat. 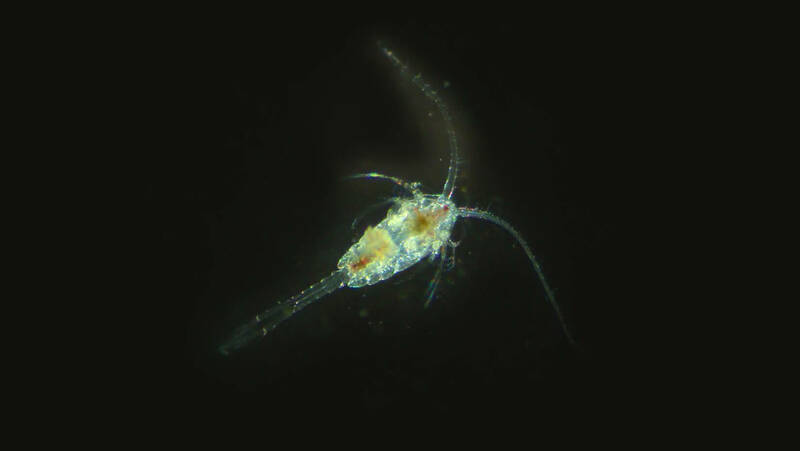 Copepods are thus important links in the aquatic food web, as they connect microscopic algal cells to juvenile fish and whales. This same toxic phytoplankton that is ingested by copepods causes harmful algal blooms in the Gulf of Maine and elsewhere. And the blooms can result in outbreaks of paralytic shellfish poisoning. People who eat contaminated shellfish can experience tingling and burning around the mouth, fever and staggering. Severe cases can result in respiratory arrest, paralysis and death. There is no antidote. A paper on the research, “Intoxicated copepods: ingesting toxic phytoplankton leads to risky behavior,” was published April 27 online in Proceedings of the Royal Society of London B.